RAUTAHAT, Jan 17: Sugarcane farmers in Rautahat have received instant payment from mills for the first time in a decade. Mill operators, who used to buy canes in credit in the past years, are paying farmers in the spot as the demand for sugarcane is very high compared to production. Sugar mills of Bara, Mahottari and Sarlahi are competing with each others to buy sugarcane from Rautahat farmers. 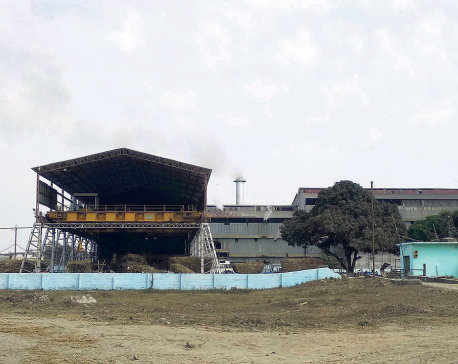 Shree Ram Sugar Mills of Rautahat used to buy sugarcane form farmers in credit. Local farmers say that the mill used to hold cash for as long as three years. Now, mills are paying farmers on the spot. According to Sugarcane Producers Association, this is the first time in a decade that Shree Ram Sugar Mills paid instantly to the farmers. Farmers say mills outside the district pay instantly but they do not offer the price fixed by the government. Rajesh Chaudhary, a sugarcane farmer of Gangapura in Rautahat, said that local farmers are elated as sugar mills are making instant payment. “Mills are making instant payment this year as production has been on a decline in recent years,” added Chaudhary. Though the government has set minimum support price of sugarcane at Rs 531 per quintal, it is yet to be endorsed by the government. Ram Ekwal Sah, a resident of Sangrampur, said that sugar mills were selling canes to mill at Rs 485 to Rs 500 per quintal through agents. Sah, who had planted sugarcane in four bigaha last year, has cultivated sugarcane in one bigaha only this year. “We have been offered better price this year due to competition among sugar mills,” he added. According to local farmers, Reliance, Indu Shankhar and Everest sugar mills are buying sugarcanes from farmers in different parts of the district. 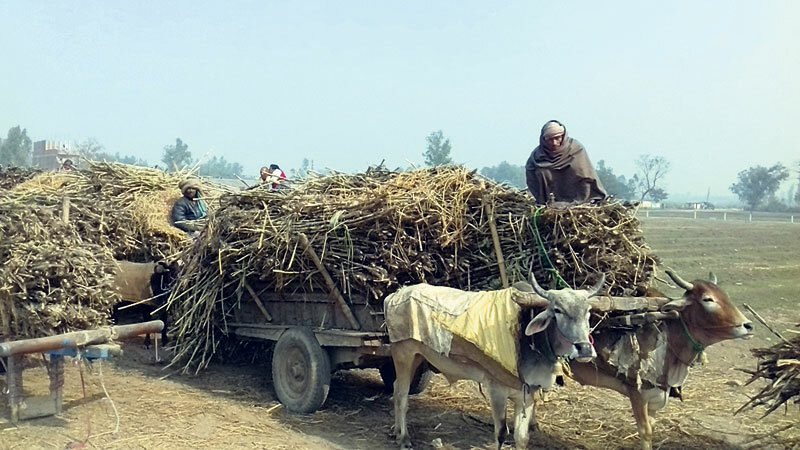 Farmers in Rautahat had sold sugarcane to local jaggery mills at Rs 300 per quintal from September to November as sugar mills were reluctant to make instant payment. Ashok Yadav, president of Sugarcane Producers Association, said that Shree Ram Sugar Mills is not only making instant payment but has also cleared past dues of farmers.